The Joy of Fashion: OMG! 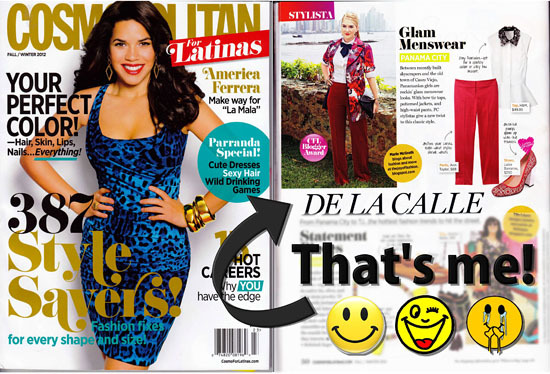 Featured in Cosmopolitan for Latinas Magazine! OMG! Featured in Cosmopolitan for Latinas Magazine! Guuuuyysss!!!!! 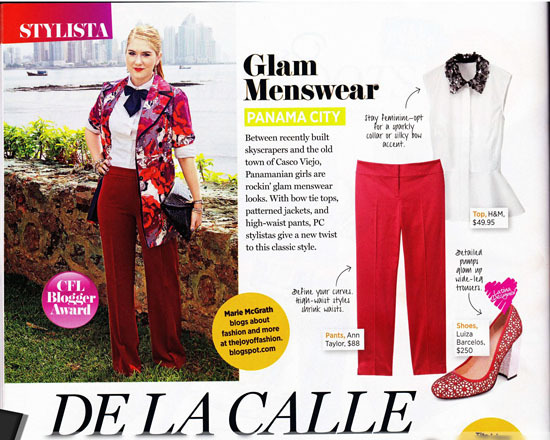 I was featured in Cosmopolitan for Latinas Magazine representing Panama Fashion! OOOOOOOOOMMMGGG!!! This is such a dream come true for me! To think I started my blog three years ago just as a hobby... and look at me now. I quite literally jumped up and down and ran around my house like a little girl when I first found out that Cosmopolitan was interested in featuring me. I mean, we are talking about Cosmo people!! Next week, I'll post more photos of the outfit featured in the magazine as well as more details on the process. But for now I just want to say.... DREAMS DO COME TRUE! Congrats on this feature. This is such a big deal and I'm so happy for you. Thanks for visiting my blog and for your kind words of encouragement. Keep up the awesome blog girl! Aaaaww thank you so much Julie!!! You are soooooo sweet! !